I was really excited for this project when we started even though I didn’t really know what was to come. I knew that we were going to be building something but I wasn’t sure what. I was also excited when Stephen said that we were going to be getting out of our classes. Being able to make something and do interactive things out of the class was cool to me. When we started researching sustainability I liked the idea of making things that would benefit the school. When we went on the field trips to Turtle Lake and Twin Buttes I noticed how simple most of the structures were. I wanted to know just how easy it would be for us to make things. The people that worked there made it look so easy to build and maintain so I wanted to see if we could do it. I remember at turtle lake they made a compost using just wood pallets. I realized how simple and accessible their materials they used are. I figured if they could do it we could too. To me sustainability means to be able to support something or itself without harming anything else. I also think that sustainable thing should only be helpful and not have any negative impacts. By making something through sustainable design you are using materials that only have benefits. It also can be used for a long time with reusable materials. If what its made out of can’t be used for anything else. When I did my empathy interviews I asked people in the school questions about what about they like about the school, what some of their personal values were, and other things similar to those. Most people said they value things like nature, fun, and being outside. After the interviews, I saw how people in our school were driven by these values and they would benefit by having things that pertain to those values and ones like it. I realized that I wanted to make something that would be used and enjoyed by people that incorporated many of those things most everyone wanted. By asking the community what they want to see in our school it gave us a better idea of something that will be used and cherished. If we didn’t do the interviews I think that there would have been less things made with as much meaning as if we did do them. I used the ideation as a process to come u with as many ideas as I could and then used it as a process of elimination for parts of ideas I did and didn’t want. I went through many ideas and saw how they would benefit the school and how much people would actually appreciate it. I thought of ideas for composts and other things. Looking at lots of ideas really helped me figure out what I wanted my project to be like and how I was going to integrate it into the school. By taking bits and pieces of many ideas I knew some aspects of my project that I wanted it to have. By looking at other people's ideas I saw what people want to see in the school and that helped me think about who benefits from what’ s made. At the start of this project I did a lot of prototyping. I made lots of models of ideas I had. I was gone for a week during the project, so when my group was planning the ramp I was doing different research about it. At the beginning of this project I did a lot of I planned for skate competitions and advertised for our project. When we finally got the materials I measured, cut, and screwed things in. I also did things like warp the boards and prepare the space for the ramp. When I didn’t have anything to work on I tried to see who else I could help. In this project I grew a lot in collaboration. When I did things like planning for the ramp, fundraising, and building the actual ramp took teamwork and collaboration. It took our whole group working together to get it done. When we had things to get done in this project if we worked together it would go a lot faster and come out better. I grew a lot in how I learned how much it helps me and my groupmates. If I didn’t collaborate with my group we wouldn’t have gotten nearly as far as we did. The 21st century skill I could work on the most would probably be taking initiative. At some points during the project when I didn’t have anything to do for my project I would just sit around and not do anything. Sara would see me doing this and encourage me to go see what groups I could help. I could have been more productive if I had taken initiative and started working without being told. At the beginning of the project I probably could have accomplished more and made my project better if I had just gotten right to work. I learned that taking initiative and getting right into work really helps in the long run. Time is very valuable and making the most of it is really helpful. A time when things got hard is when we were trying to gather materials and realized how expensive they were. We were looking for wood to stop building and realized that 2x4 were almost 40$ a peice. We knew we had to come up with a way to gather materials in a much cheaper way. We solved this by reaching out to local companies and trying to fund raise money. We made a “Go Fund Me” and had a skate competition. With those two things we raised over 300$. After talking to a couple of lumber companies Alpine Lumber donated all the wood we needed for the project. We started with nothing and the community provided for us. A time when things got hard but we couldn’t do anything was when we were waiting for the materials to come in. It took a while for us to know exactly what we needed and how we were going to get it. We had a week less of work time because we were just waiting for things to ship and people to respond. We had a lot of time of just waiting around without anything to do. We did the best we could to try to work on things but it just became a waiting game for a little bit. 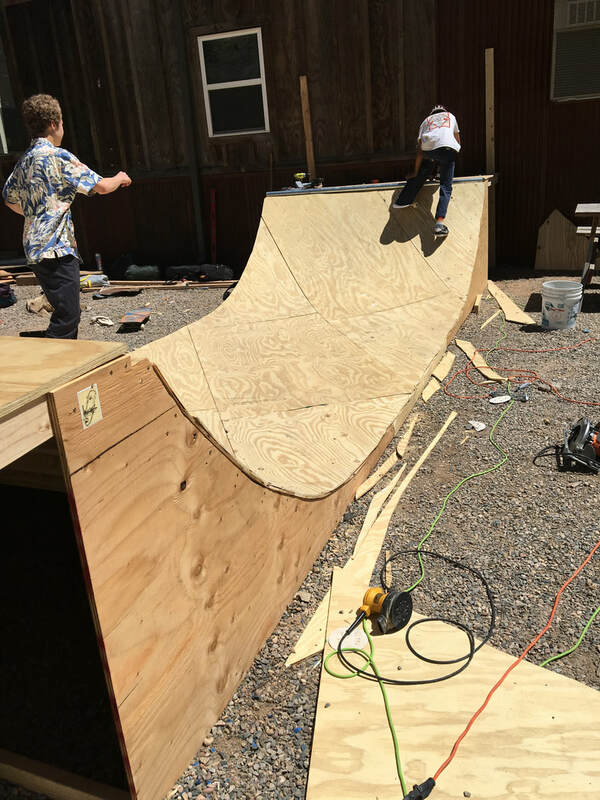 When we first started this project I thought we would have a tiny little quarter pipe that would maybe last for the rest of the year. I was going to be happy with that result. Now after seeing how far the project has actually come has amazed me. We did more than I ever thought that we would. My view of success on this project has completely changed. Even though our ramp isn’t quite finished yet I feel so successful already with how far we have come. Once the ramp is finished I will be so happy to see that all of our hard work has paid off. To someone who is going to start this project I would say that you have to put yourself and other people out there and advocate for yourself. Our project would not have been possible without the help of the community. By reaching out and advocating you are only helping the project. If we didn’t talk to companies about the materials we needed we wouldn’t have been nearly as able to do as what we have been doing. Getting more people to see the project helped us immensely. We have had a couple people see the project and want to help us just from hearing the idea and seeing how we got out and advocated for ourselves. Reflection: In this project we learned about socialization and the things that socialize us in the world. We did things like watching videos about children being raised by wolves and how they basically became a wolf. We also did some research on how we have been socialized by things in our lives. As we learned about how the world socializes us we learned about the main agents of socialization. Some of those are things such as religion, our families, and the media. At the end of the project we made masks that represented the things that made us who we are. We also wrote a paper about socialization. In this project I feel that I put a lot of hard work and effort into somethings but less into others. 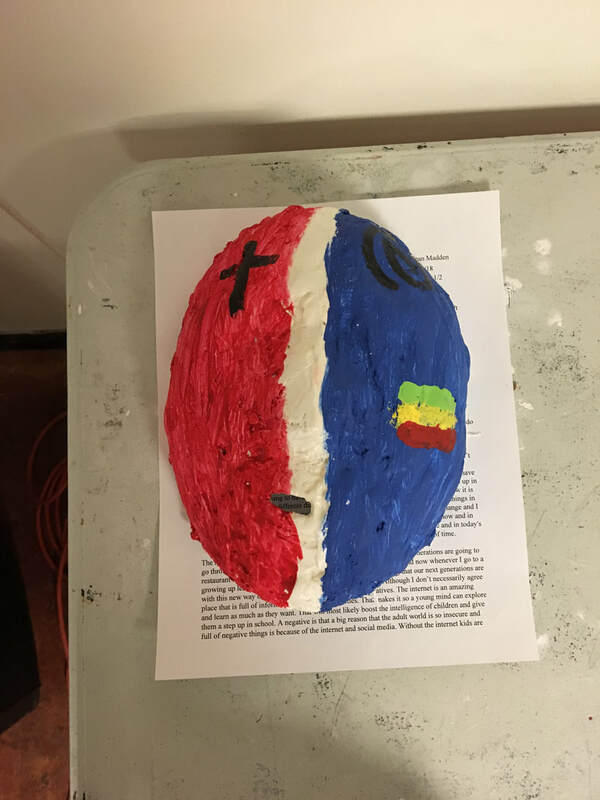 For example I worked really hard on my mask essay and I ended up being really proud of it but with my mask I didn’t work as hard on and I feel like I could refine my mask a lot more. I feel that I advocated for myself well in this project. Whenever I wanted help or advice I didn’t hesitate to go to Stephen. I worked hard on this project and tried to work through my problems and thought deeply about the topics. Looking back on the project I feel like it was a big success because. I was confident about what I did and I learned a lot. During this last semester I have learned a lot about myself. I have learned to be really honest with myself and that I am just a product of my environment. I learned that one of the reasons that we stereotype is because our brains like to think of things in groups. When many of us are exposed to the same things we gain similarities and that's why we judge people. This has showed me to look for differences in people to see who they really are. I learned to think before I judge and look deeper into things. My whole life I have grown up in a small mostly white town in a good family. I haven't faced much adversity in my life but I have seen it change the world around me. My family, the media I am exposed to, and where I live are all huge contributors to how I am socialized. Our world is full of stereotypes and constantly changing circumstances. As humans we must learn to experience and see the world through different perspectives to truly understand the world we live in. I grew up in small almost all white mostly christian/conservative town called Bayfield. My family isn’t religious and is pretty liberal. I went to school in Bayfield from preschool to fifth grade. Most of my friends were christian and conservative so I got both sides growing up. To me that kind of represents how I am seeing not just the town I live in but the world around me. Growing up in a small town I don't get to see a lot of the problems around the world such as racial bias and extreme poverty or wealth. Although there are those things that happen here they aren't as severe I experience them and am socialized by them differently. My peers and friends also have a huge affect on me. A lot of the music I listen to, clothes I wear, and things I like to do are because of my friends. In my life a lot of things that can strongly socialize people don’t directly affect me. I don’t experience things such as poverty or racial or gender oppression. It’s not like these things don’t have an effect on me or that I am naive to the fact that this is all happening, it’s just that I experience them looking in rather than looking out. I have learned to be thankful for what I have and aware of what can so easily be taken away. Being a white male I do have a bit of a step up in life. White privilege is going to have an effect in my life positive or not. My life being how it is is going to to socialize me different than others and I will see the negative and positive things in life very differently than someone such as an african american woman. My life will change and I will have different things socialize me in different ways. How I experience poverty now and in 20 years could quite possibly be very different situations. We are subject to change and in today's world everything we know could be completely different in a very short amount of time. The media in the world today has had such a big effect on how the new generations are going to go through the world. I didn’t get a smart product until I was like ten and now whenever I go to a restaurant there's a two-year old with an Ipad. I think it’s interesting that our next generations are growing up learning half the things they know from a screen. Although I don’t necessarily agree with this new way of growing up there are positive and negatives. The internet is an amazing place that is full of information and new possibilities. 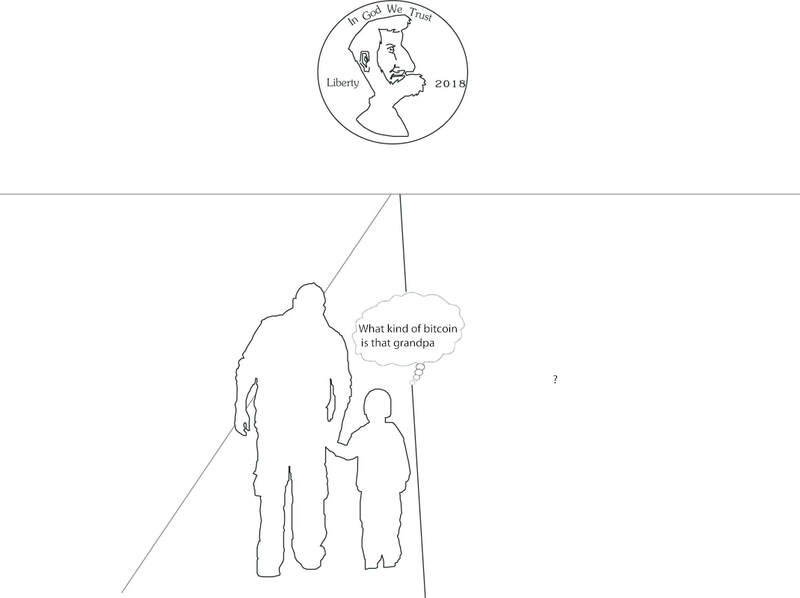 That makes it so a young mind can explore and learn as much as they want. That will most likely boost the intelligence of children and give them a step up in school. A negative is that a big reason that the adult world is so insecure and full of negative things is because of the internet and social media. Without the internet kids are subject to so much information and socializing messages about how they are supposed to act, look, and see the world around them. Part of being a kid is learning who you are and not feeling judged about it. The digital world might impact that by giving them different and more compelling ideas of how they are “supposed” to be. In this world that is full of stereotypes and bias I am socialized to look and act a certain way. All of the gender stereotypes and ways that boys or girls are “supposed” to be. For some reason we have given them certain roles that we feel are appropriate for the genders such as boys like blue and girls like pink. There is no reason for us thinking that other than us getting socialized like that. A good example of someone breaking this stereotype is the “My Princess Boy”, story by Cheryl kilodavis. The story is about a young boy breaking stereotypes and dressing up like a princess. We have built up these terrible ideas that boys and girls have to fit into something certain and it pretty much just has negative effects on people. Society puts people down for being who they are and punish diversity instead of celebrating it. This oppression of people needs to stop. The world we live in is full of ways of socializing us positive or not we are subject to anything and everything. We are like sponges to the world we live in. Everything we hear and see makes us think about our life differently. Whether you are the top 1% or Bottom 1% we all can connect on different levels. Our world is not near perfect but we are making strides towards it. Phasing out things such as gender norms and things that keep society down are only connecting us more. The digital world is full of ways of making us more human or even less human. The key ideas in the seminar were that racism is still present in today's society and little has changed. Another was if “To kill a Mockingbird” should or shouldn’t be banned in schools. We talked about how the book does have mature content but that should not stop students from getting the information. A big topic that came up was that some sexism and gender norms were addressed in the book. We also talked about how the same issues such as racial slurs and racism were portrayed differently than how they are now. We now have things such as social media where you kind hide behind a mask and you aren't always accountable for what you say. The idea that I found most interesting was that not much has changed since when this book was written, racism, sexism, and other issues are still deeply rooted in our society. A example of this is when Atticus is talking to Jem about a trial happening and Atticus says, “ when it’s a white man vs a black man the white man always wins.” This is now known as white privilege. Even today many things similar to that are still happening. I found this interesting because it seems that we put of a facade as americans. America is advertised as a great place when you can be or do anything you imagine. I think it's interesting that people would rather live a false reality than try to fix the real one. I think this book does matter because I feel it’s more of a lesson to be learned than anything. It seems crazy to me that these issues are still happening as severely as they were 50 years ago. So much in the world has changed since then but some of the worlds biggest problems have changed very little. In the book character say things like, “You’re becoming more like a girl everyday.” By saying things like that you are implying girls are less or are inferior. Things like, “ You throw like a girl” that are still being said are just like that. I feel this is an important thing to expose kids to because it’s a good way to explain how this country works and how we still have a long way to go.